Setúbal Roxo 20 Years Old is an exquisite dessert wine produced in Portugal on the Setúbal Peninsula, a region south of Lisbon which was recognized as a D.O.C. in 1907. This grape variety is almost extinct, existing only in a small vineyard in Azeitão. This is a purple grape variety, with an intense spicy aroma and a very concentrated and fruity palate. This wine is a blend of 4 vintages, where the youngest wine is 23 years old and, the oldest, 80 years old. Aging takes place in used oak, since the truly important result is oxidation and not the oak aroma. Fermentation stops after brandy is added. Skin contact for 5 months. In used oak to increase the process of oxidation. No bottle ageing is required due to its barrel maturation. At a temperature of 16ºC with desserts. Domingos Soares Franco, winemaker and vice-president, is the youngest of the two representatives of the sixth generation of the family that manages José Maria da Fonseca. He studied in Davis, California, and started working at José Maria da Fonseca in the 1980s. Since then, he has introduced several changes into the wines produced by this company, becoming one of the most innovative new-generation winemakers in Portugal. 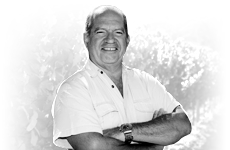 As a winemaker, his first major influence was undoubtedly that of his father Fernando Soares Franco. His uncle, António Porto Soares Franco, a man of great vision, also influences him tremendously. Among other important achievements, he deserves to be recognized as the creator of Lancers, one of the best known Portuguese wines around the world and José Maria da Fonseca’s first international "best seller". Special Prize awarded by Câmara Municipal de Setúbal for the Best DO Setúbal.